That's interesting. The first time I saw that pointed out (color shift to yellow when overexposed), it was in wolfcrow's vs Alexa vs GH5 vs P4K video. Both the GH5 and P4K shifted towards yellow in overexposed highlights while the Alexa didn't have any color shift. I plan on doing some under/overexposure tests tomorrow. I'll try to throw some red light tests in there. Desaturating highlights in post is something I did for a while for all digital camera's. The light is displaying pure red. Notice how it shifts to yellow before clipping. 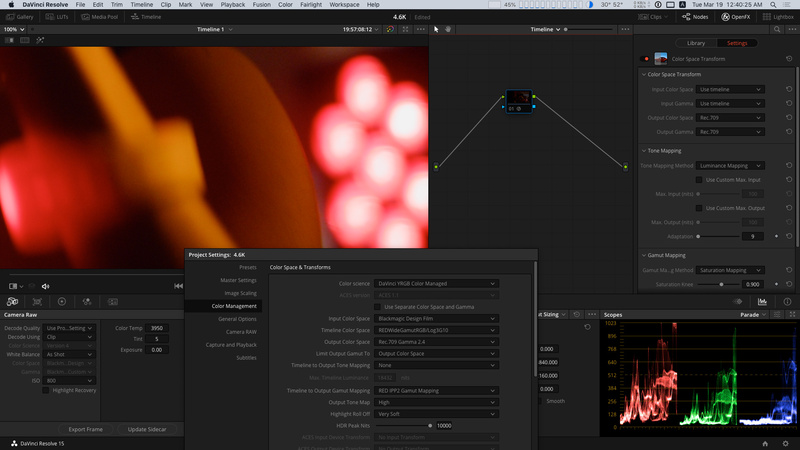 Then notice how it does not when I processed the image without v4 color science. When you say without v4, how exactly did you process the image? Can you post this dng? Pretty typical with this kind of thing and certain sensors when you try make what the sensor sees into red but its been clipped. 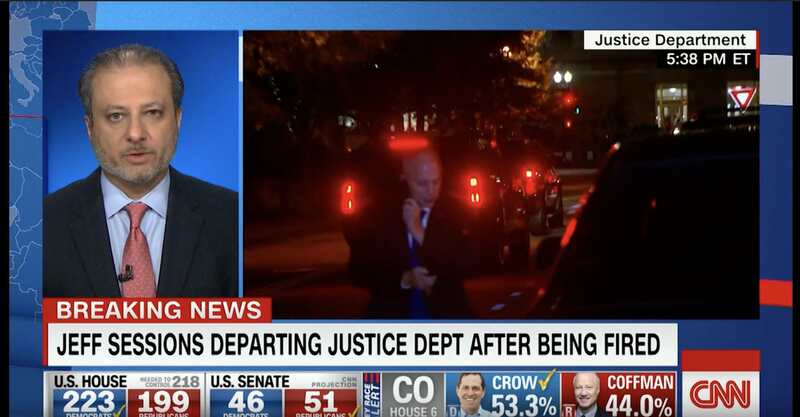 Just look at cnn, likely using sony broadcast cameras. First I tried ACR, but it has already been updated with v4 profile, and I couldn't find a way around it, so I processed the image with Capture One. I don't have the files handy at the moment, but I'll try to remember to post later. Looking to other samples i guess that red clipping may be caused by not too large enough color gamut used in Color Science v4. Original BMDfilm LOG files are low saturated, if you compare saturation level it appears that BMDflm gamut is even larger than Rec2020. 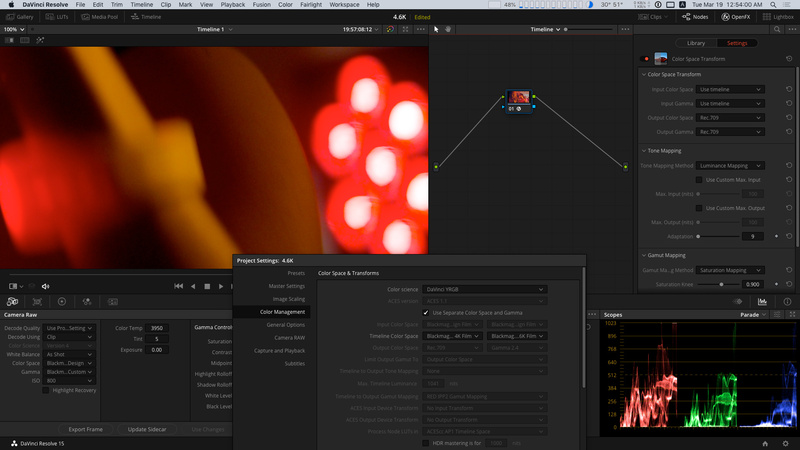 BMDfilm is a native sensor color gamut. P4K unprocessed LOG samples looks more saturated, it feels like closer to DCI P3 gamut, or variations of early REDcolor/DRAGONcolor versions slightly larger than sRGB. Extreme saturated light emitted objects like neon lights, lasers, electric sparks, single color LEDs require VERY wide gamut to be captured fully without clipping. 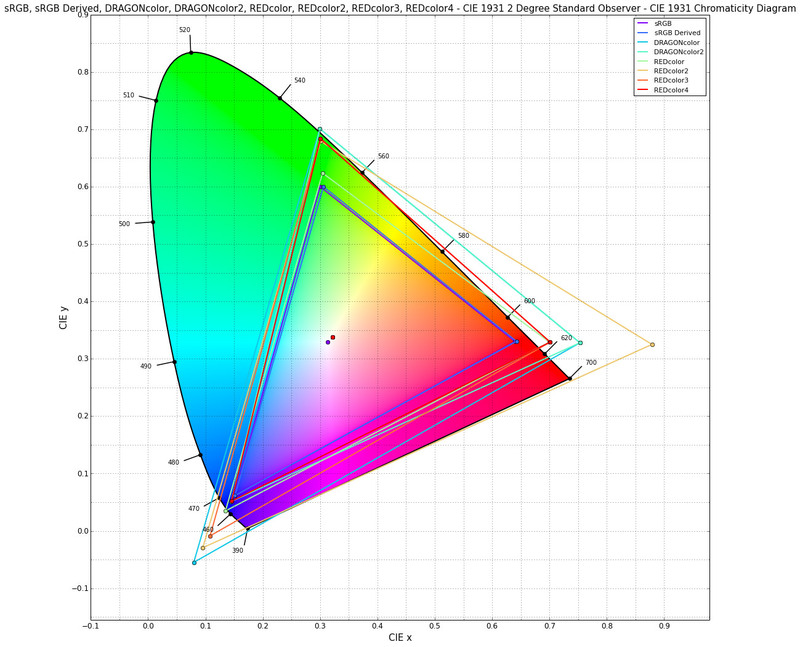 My guess that with Color Science v4 BMD decide to unify gamuts between different cameras (as many manufacturers do) and add a in-camera conversion from native sensor gamut to some kind of optimized Color Science v4 gamut. 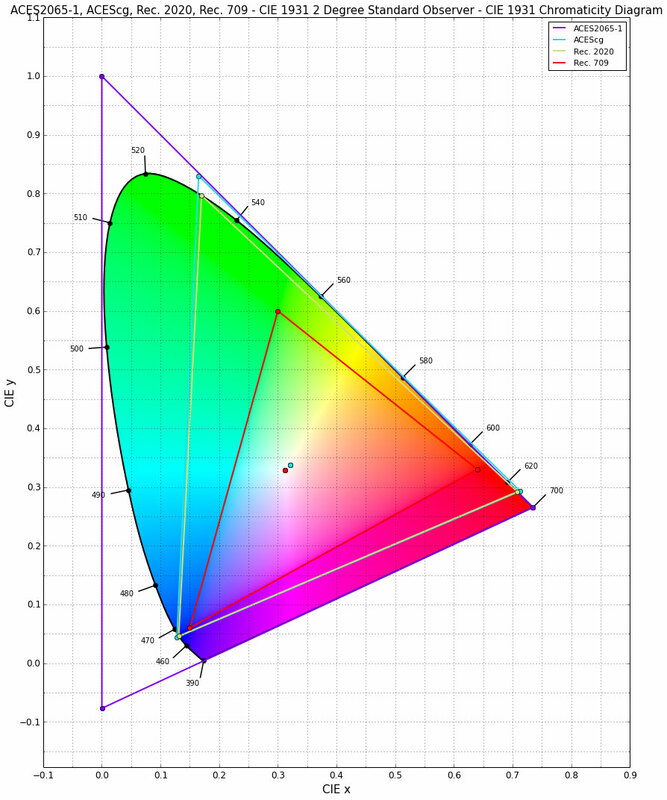 Smaller gamut may produce less global color shifts, it is easer to compress to Rec709 and probably allow more precise sensor color calibration. 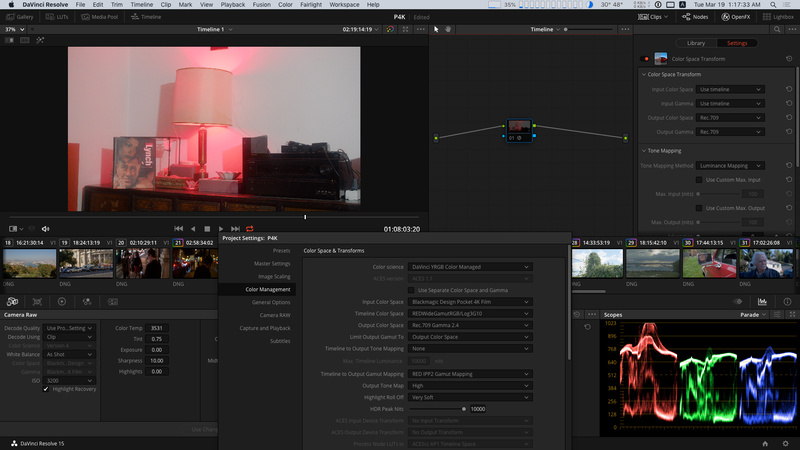 P4K footage with Color Science v4 looks really well calibrated compare to older cameras. But as side effect it may produce strange color clipping. Just tried out the Pocket 4K today and this issue is everywhere when you shoot at night. There's no rolloff for the red channel at all, it just clips very harsh and looks ugly. Even the GH5 isn't that harsh. 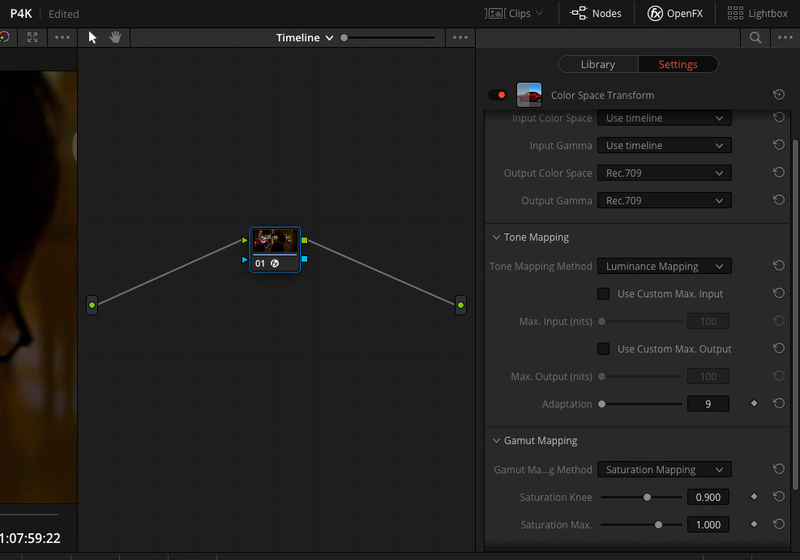 Red channel clipping problem also depends of color managed or non color managed workflow used. 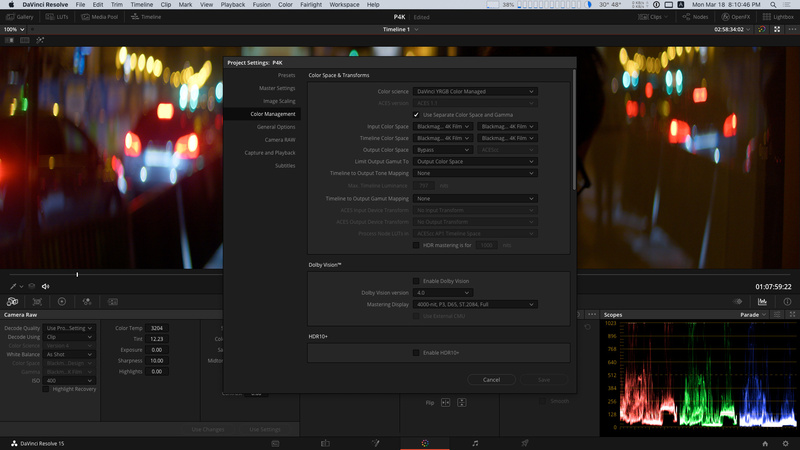 As you may know non-color managed timeline adds some sort of build in additional factory color correction to DNG source. All tests (except RED IPP2) done with one single color space transform node added to the timeline. Last edited by shijan; 03-19-2019 at 04:32 AM. I also wonder how much the iso is effecting this. I wonder if you raise your iso high enough can you allocate enough highlight range to not clip? Or at least not as poorly? Shijan, I'm going to give that a try. Had a few shoots with party gels being used OR a lot of car tail/headlights, so hoping this can clean it up. With this method, do you recommend doing your corrections before or after the CST Rec709 node? 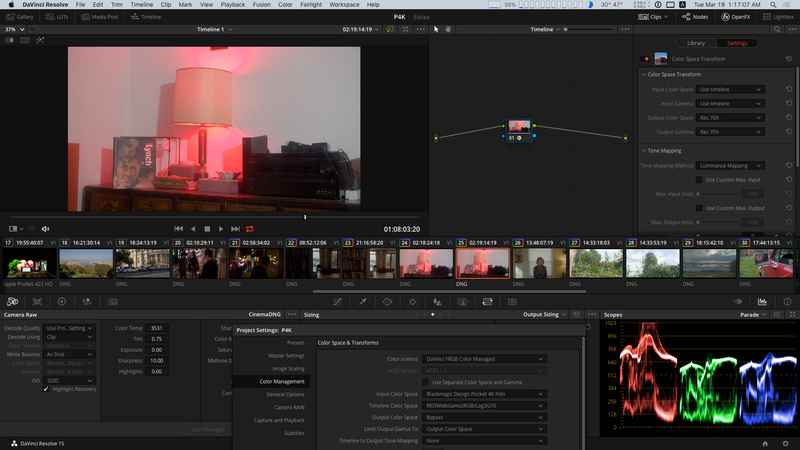 Another option is to use RED IPP2 color mapping in project settings. It have 3 different knee+contrast options. It produce even smoother compression than original Color Space Transform tool. But it is not available as a Node tool yet. You can apply it only project settings. 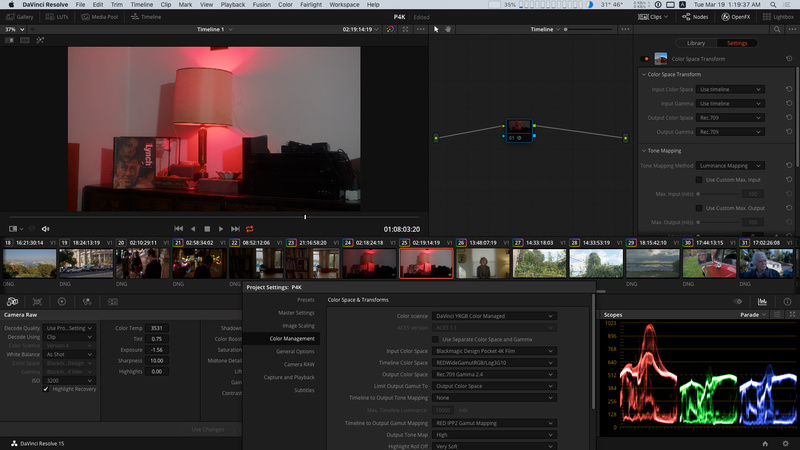 Even those extreme 3200ISO samples with red lamp became usable with RED IPP2. P.S. Can someone share more clipped Pocket4K BRAW samples to play with? Last edited by shijan; 03-19-2019 at 04:34 AM.